This Feiss Arbor Creek 3 light chandelier finished in bronze with ivory linen shades is a transitional classic design inspired by nature. Featuring a circular ceiling mount and chain link suspension, with central wrap decorated body and sconces, three flat profile curved arms and tapered ivory linen fabric lamp shades. Inspired by sheaves of wheat, the wrap detail featured on this collection adds visual interest to the centre body, bobeche and ceiling canopy and brings the warmth of nature to this transitional design. The tapered ivory fabric lamp shades adds a touch of style and an elegant look. 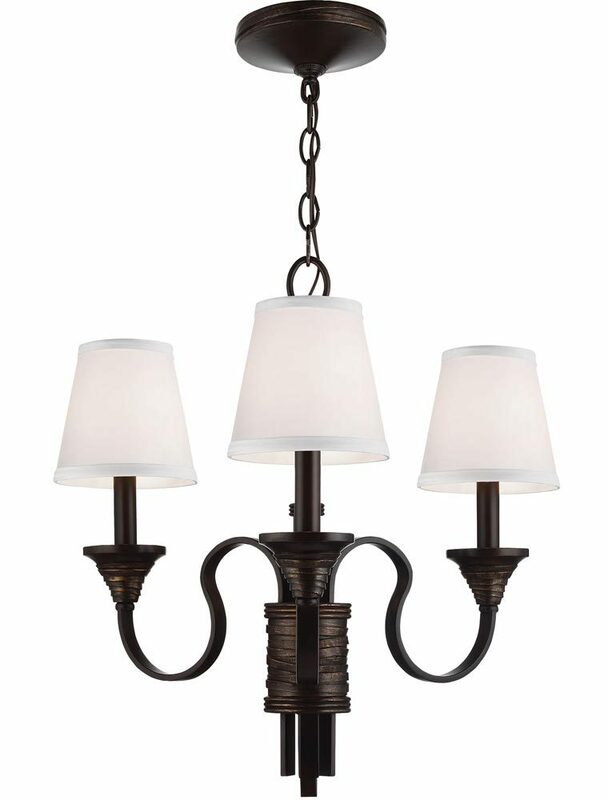 This is a small chandelier that is perfect for a small hallway, living room, dining room, stairwell or landing. Supplied with 152cm of chain suspension that can be shortened at the time of installation to achieve the desired ceiling height, please see technical information below for dimensions. 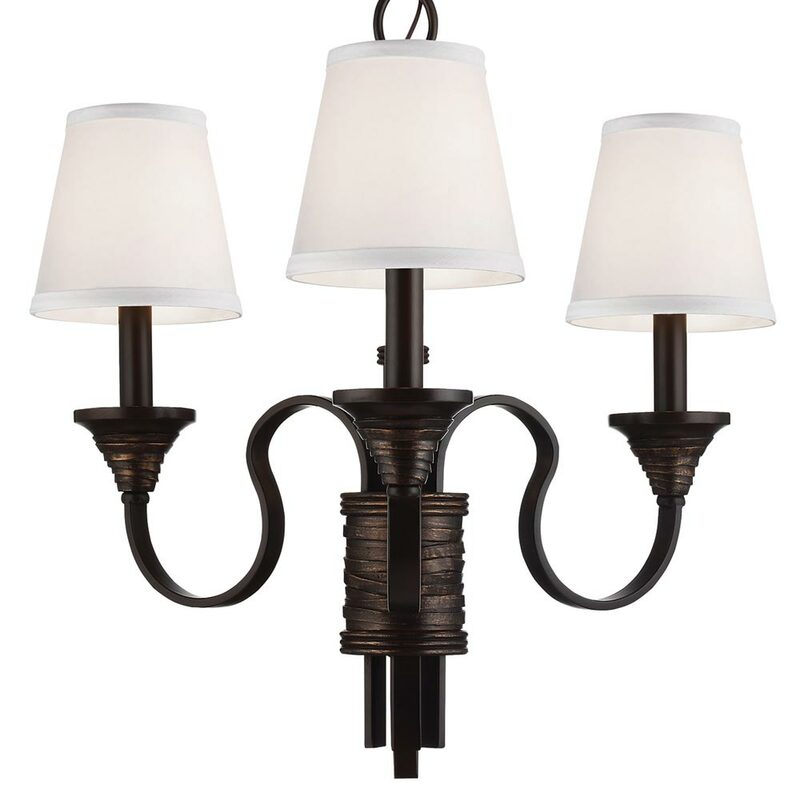 There are matching fittings available in the Arbor Creek lighting range that includes two wall lights, two chandeliers and a flush mount light; please see below for the complete collection. This stylish light is supplied by Elstead lighting and designed in the USA by Feiss, founded in New York in 1955. They have become well known over the years for their contemporary yet classic styling, quality and great original designs such as the Arbor Creek 3 light chandelier finished in bronze with ivory linen shades you see here.